I was wondering the same thing. I haven't heard any news about the series or when it's going to air. You'd think they'd have some info about it on animation news sites. There are no specific dates, as of yet. There is some good news however. According to Jim Hill in a March 18th podcast, Tron: Uprising is testing "through the roof". That means that Disney's target demographic loves what they are seeing. ElecTRONica closes for good April 15th. Maybe we will see something more, from Uprising, there. Again download the podcast and wait till a little past half way through, to here about Tron 3 and Tron:Uprising. Guys, I think you all should tune into Disney RIGHT NOW! 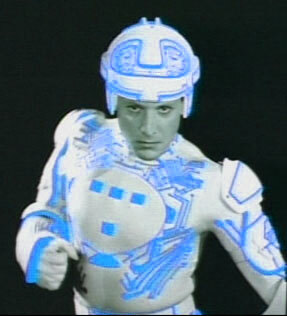 Tron 3.0 Wrote:Guys, I think you all should tune into Disney RIGHT NOW! I don't have the Disney Channel where I am right now. What's on? 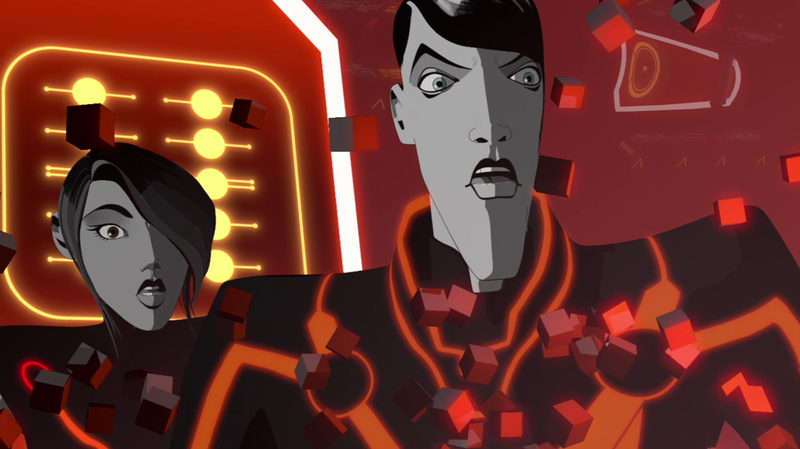 The first episode of Tron: Uprising was aired. Are you serious??! Is this an April Fools Joke? No, they aired the first episode, but due to poor reception from their target audience decided to cancel the rest of the series. On the bright side, however, the Castor figure is going into full production. Come on guys, if it did air, how come I don't see any traces of the episode airing? TRON.dll please tell me this is an April Fools joke. LIT Wrote:TRON.dll please tell me this is an April Fools joke. He's just joking. What I saw was a short trailer for the show. Was it something we've seen before? Just saw the promo for it on Disney X D. It was the best thing i've ever seen!!!!!! TRON: You may be just the thing i'm looking for. Beck: What are you looking for? About release date, it said June 2012!!!! ONLY 2 MONTHS AWAY!!!!1!!!111! LIT Wrote:Just saw the promo for it on Disney X D. It was the best thing i've ever seen!!!!!! WHAT!? June?! Now wait a second. This was supposed to be out in Jan and now in April of right now. April of 2012.